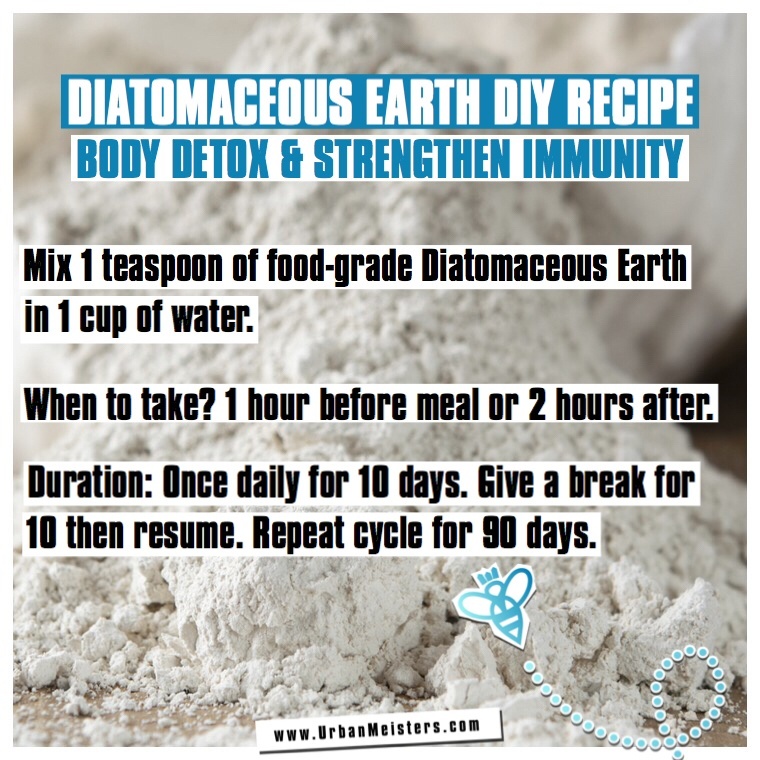 Today we present the new star of zero waste lifestyle- Diatomaceous Earth which is a natural, multipurpose ingredient for plenty of DIY recipes for health, home and personal care. Adopting a simple zero-waste lifestyle is taking a huge step towards sustainability and healthy living. And a direct result of going zero waste, is immense self reliance and finding DIY solutions for everyday things because these create less waste. Quick and easy, commercially produced solutions are convenient for our fast paced lifestyles but they are also toxic and highly polluting. Often these mass produced goods that we use for our daily chores like cleaning, cooking and gardening, have ingredients that cause indoor pollution and are also potential hormone disruptors. When you try a zero waste lifestyle, you automatically stop relying heavily on these commercial goods. In our Green Living Guide series we had given you the starter’s tips for zero waste lifestyle. One such tip was of buying in bulk and using organic DIY recipes in order to create the least amount of waste. We’ve also given you amazing DIY solutions in our NATURAL BORN HEALERS series which focuses on common natural or plant based ingredients that help cure urban problems like pollution, immunity, sleep and home care. 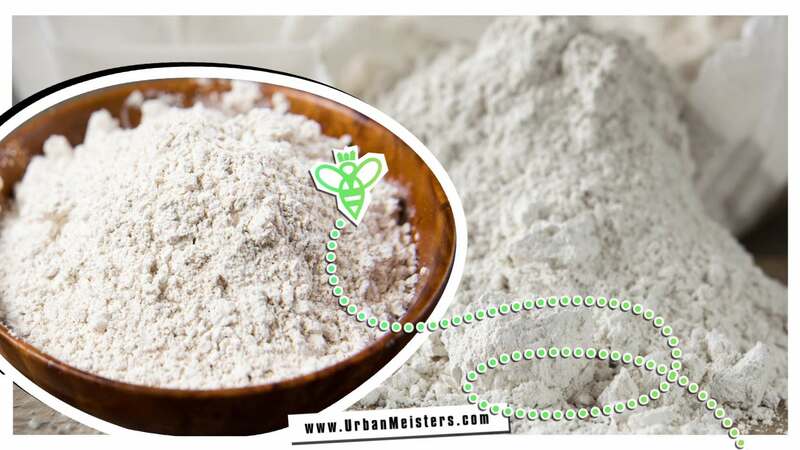 There’s also Baking Soda for your urban lifestyle woes with plenty of uses around the house and now you can add one more to the list- Diatomaceous Earth. This power ingredient is literally your one-stop solution for cleaning, self-care, gardening and home maintenance! Not only is it healthy but it is naturally occurring which means it creates zero-waste in its production and isn’t harmful for the environment. Plus you can buy it in bulk! 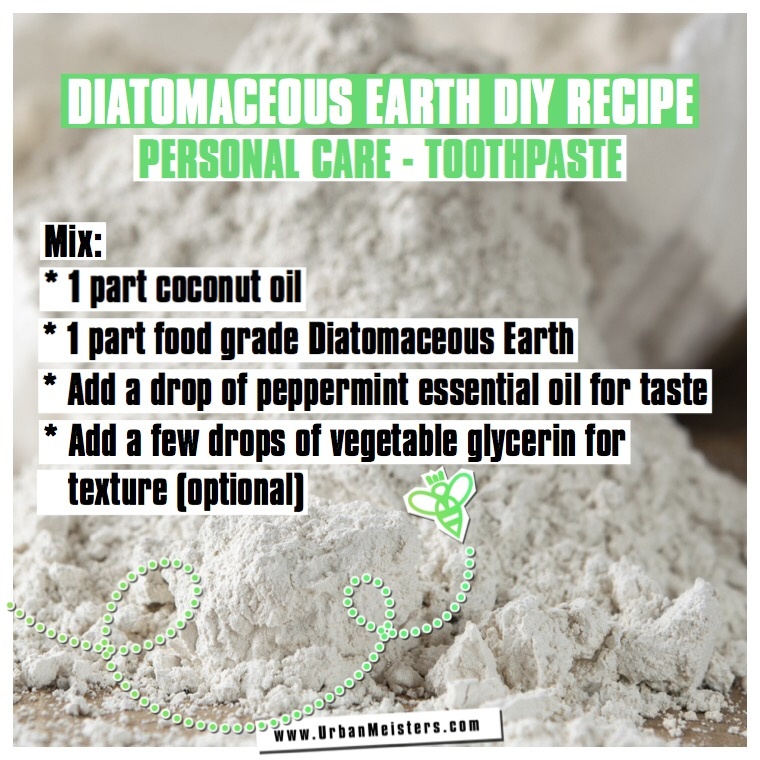 We partner Tips Bulletin to give us 40 + amazing DIY uses of Diatomaceous Earth around the house for health, personal care and home care. 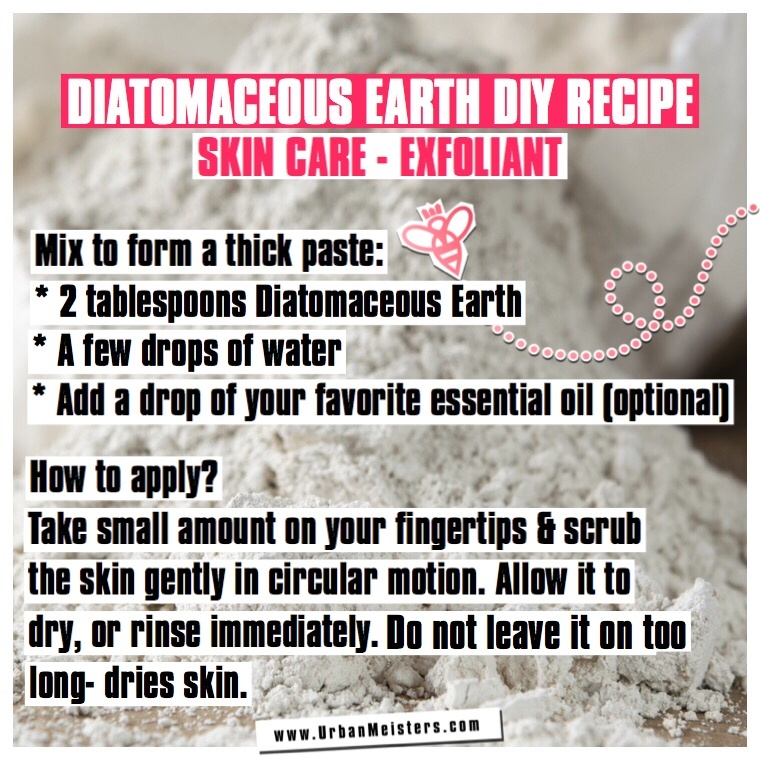 But first, what is Diatomaceous Earth? It’s a naturally occurring sedimentary rock. It can be easily crumbled and turned into a highly purposeful fine white powder. It is made up of fossils of tiny algae-like organisms called diatoms and is a soft white powder made of 80 to 90 percent silica. Let’s see what all Diatomaceous Earth can be used for! Diatomaceous earth carries a negative charge, so it attracts positively charged toxins and heavy metals from the body and flushes them out. A study in the American Journal of Clinical Nutrition found that the silica diatomaceous earth helps eliminate aluminium and other heavy metals from the body. 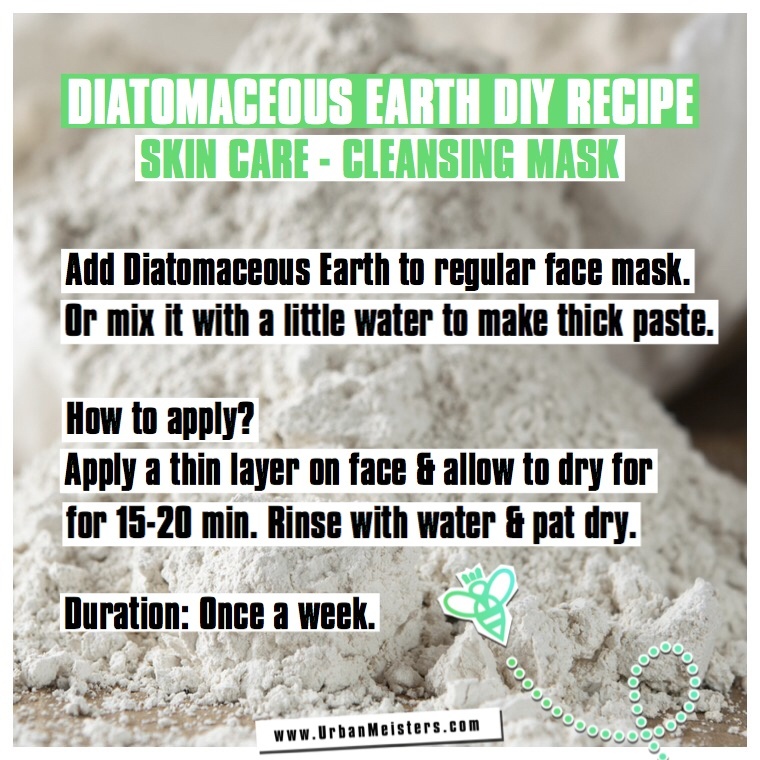 Diatomaceous earth is mildly abrasive, making it useful as a cleanser for the skin. It is often used in skincare products as an exfoliant. It absorbs harmful toxins and leaves the skin clean and smooth. It can be used alone or mixed into your favourite cleanser. When properly used, it gently removes dead skin cells and cleans the skin, soaking up excess oils. It leaves the skin soft, supple, and glowing. Diatomaceous earth kills odor-causing bacteria and absorbs toxins and moisture. It is safe for all skin types and will not irritate your skin. You can choose a pleasantly scented essential oil to scent it if you like. 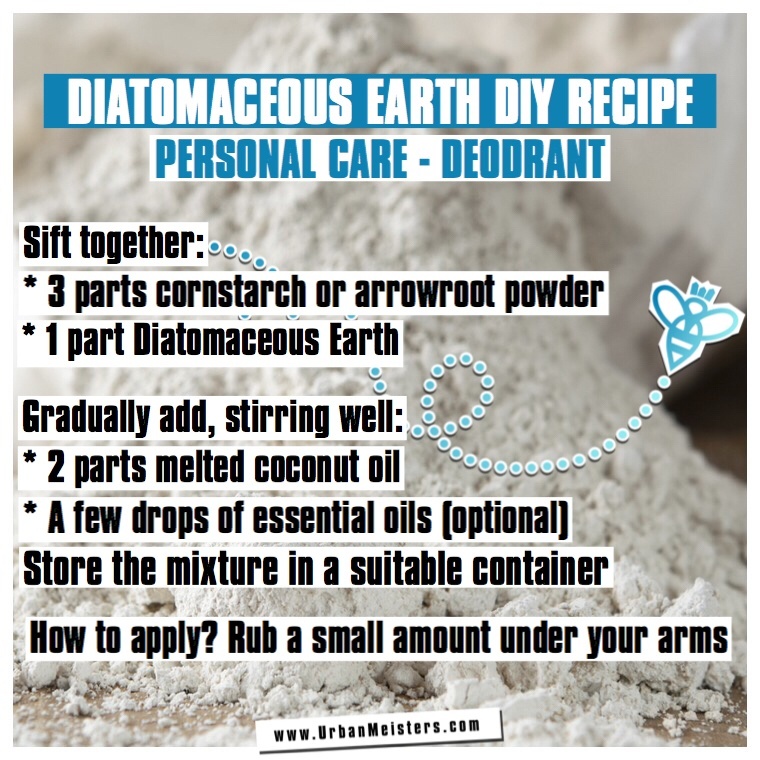 Try our recipe for diatomaceous earth Deodorant. Food grade diatomaceous earth kills cockroaches, bed bugs, stink bugs, ants, fleas, spiders, silverfish, dust and spider mites. The abrasive diatoms create tiny cuts in the insect’s skin or outer shell and dry it out, killing the insect slowly. It takes a day or two, but it does work. Since it contains no harmful chemicals, it is safe to use around children and pets, and can even be used safely in the kitchen. You can also read our exclusive feature on DIY home cleaners– another alternative to mass produced unhealthy and toxic commercial goods. 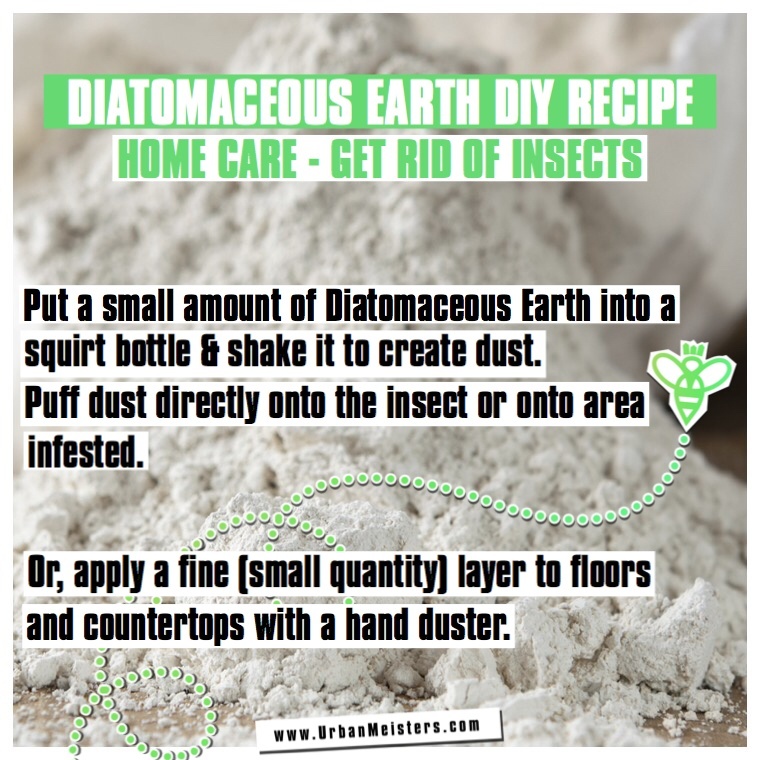 Diatomaceous Earth is a great natural remedy for many everyday problems with easy DIY application. Do try the recipes and share your reviews with us. Look forward to your DIY uses of this wonder ingredient.